Ana Isabel Dow as “La Gringa” in “Pozole,” a short film which takes place in Tucson. The film shows Maia’s attempt to reconnect with her traditional Mexican roots for her nana’s 100th birthday. Ana Isabel Dow as “La Gringa” in Pozole, a short film that takes place in Tucson. Pepe Vargas, director of the Chicago Latino Film Festival, left, Jessica Siqueiros, writer and director of “Pozole,” and Renee Goust, a Tucson native raised in Ambos Nogales who wrote the original music for the film. A short film set in Tucson that highlights the barriers of interaction between binational and bicultural families has won early recognition that could lead to an Oscar nomination. “Pozole” tells the story of a young woman’s rift with her Mexican-American family because she does not speak Spanish and has had a different upbringing. “Of the 5,000 film festivals in the world, only 100 are on the list of those that qualify for the Academy Awards,” said Jessica Mendez Siqueiros, director of the short film made almost entirely by Latinas. Having won the Best Narrative Short Comedy at Cinequest, means “Pozole” can be submitted for the chance to be nominated for an Oscar. In this black comedy, Siqueiros also tackles the powerful matriarchal figure in Mexican-American families. “In my mom’s family, I was ‘la gringa,’” said the 29-year-old filmmaker, whose Nana Chepa was born in Tucson and lived on the south side for most of her 100-plus years of life. Lydia Mendez passed away in 2015. In some way, “Pozole” is based on Siqueiros’ experience. Maia, “La Gringa,” tries to reunite with her maternal family in Tucson to celebrate her nana’s 100th birthday. But things go terribly wrong and La Gringa turns out to be the involuntary cause of the matriarch’s sudden death. Gaining the trust and respect of the family— and even of her own mother — becomes more complicated for Maia. Siqueiros’ parents met in Tucson and they later migrated to Los Angeles, where she was born and still lives. After her parents’ divorce, Siqueiros lived with her father in a white community. The 10-minute film not only portrays the integration problems of the two cultures but also their values. “I also wanted to honor the beauty of our culture, the value of matriarchy and the connection of our identity with food,” Siqueiros said. Pozole’s creative team is nearly all Latinas from the United States. Renee Goust, a singer-songwriter born in Tucson and raised in both Nogales, Arizona and Nogales, Sonora, wrote the film’s main theme song. Her video “La Cumbia Feminazi” went viral on social media in 2016. 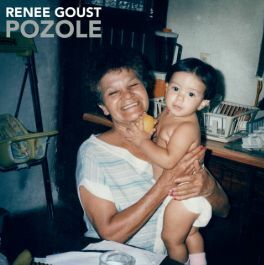 “I barely saw the first 30 seconds (from “Pozole”) and I said ‘yes, totally,’” Goust said in a telephone interview from Chicago, where she met with Siqueiros for the first time for Pozole’s presentation at the Chicago Latino Film Festival on March 30. Food was another automatic connection with the film for Goust, who has lived in New York City for 12 years. For Goust, the food that some people, especially Latinas, prepare daily to feed their families represents an act of love. For now, the film can only be seen at film festivals. It will be screened during the Phoenix Film Festival on April 10 at 9:10 p.m. For tickets, go to 2019phoenixfilmfestival.sched.com and search Pozole. Find more info about the film at pozolefilm.com. Contact reporter Liliana López Ruelas at llopez@tucson.com or 807-8479. “Spring Awakening,” an adaptation of an 1891 play is controversial and still relevant to today's teens.